The Government is proposing to consult on redefining an Electronic Programme Guide (EPG) service so that it is brought up to date with recent developments in TV technology. The Department for Culture, Media and Sport (DCMS) has confirmed it wants to add HD and on-demand services to the services covered in the Communications Act 2003 and review the status of local TV channels. The current rules hinder HD simulcasts of public service channels being given a prominent position in the channel line-ups of digital TV providers. The DCMS fears that as more viewers watch HD and on-demand content, the current prominence applied to standard definition versions of the main public service channels will be lost. In the Impact Assessment published today, the Department also notes that the current rules "also fail to take account of the prominence needs of new local TV services", with the prospect of local TV channels being awarded a similar prominence afforded to national channels including BBC One and Channel 4. Including on-demand and HD services in the list of Public Service Channels." changes as and when the power is enacted." 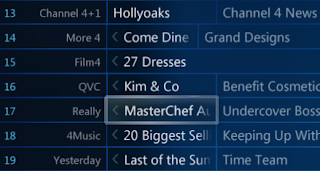 Digital UK is expected to outline its policy on HD channel number allocations on Freeview in the coming weeks. 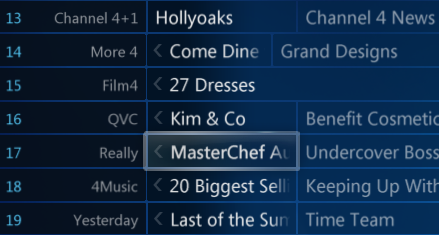 In a recent consultation, most broadcasters supported the idea of an HD channel swap, allowing Freeview HD devices to replace standard definition channels with their HD counterparts in the channel listing. BBC One [English Region] HD and ITV HD regions are the only ones that should be entitled to an HD Swap circumvention clause. Channel 4, Channel 5 should follow everyone else like E4/5*/ITV2 with only one HD version - they not got much to share thats local/regional besides "zoned" regionalised ads! They could also perhaps do in England with BBC1 and ITV provide the English National Feed in HD but for when the regions do there regional commitments provision have opt-outs of HD streams via Connected TV! Youtube Live can do HD!